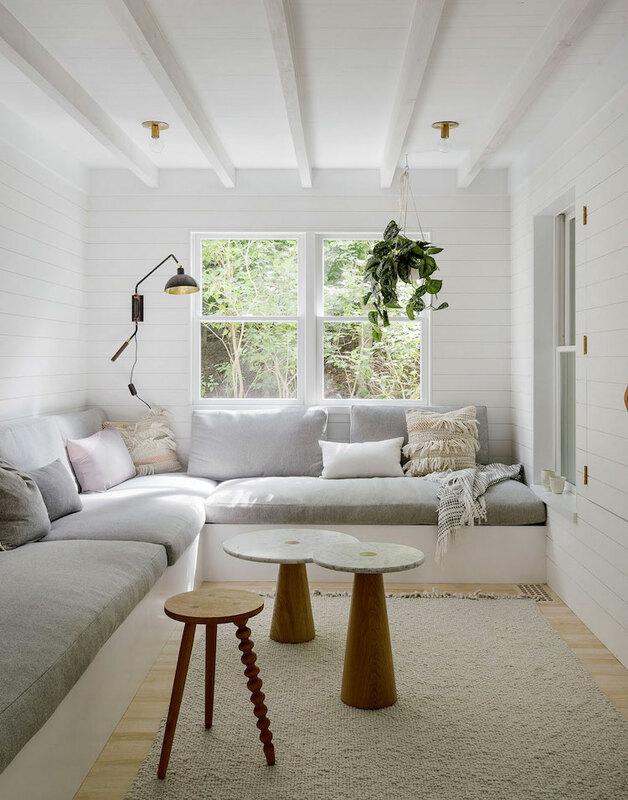 I've been seeing this Scandinavian inspired beach house all over and for good reason. The inspired lighting choices might be my favourite part. What a difference curtains can make. It makes the whole room feel new, don't you think? Whoa, these lights are from Amazon?! The built-in storage and the use of moulding throughout this tiny home - incredible!